Burlington, VT — Luis Calderin, principal of OKAY!! OKAY! 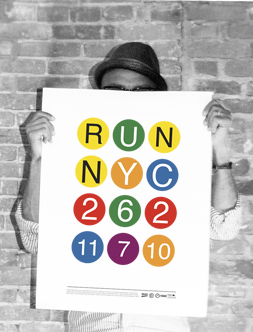 !, a full service boutique marketing & design agency, is excited to announce his participation in the renowned ING New York City Marathon on November 7, 2010. Calderin was asked to join Team Stoked, the division of runners for Stoked Mentoring. The non-profit organization, founded in 2005 by Sal Masekela, X Games and E! Daily 10 Host, and Steve Larosiliere, Huffington Post blogger, began with the mission to develop Successful Teens with Opportunity, Knowledge, Experience and Determination through action sports and mentoring. Stoked was created on the belief that at-risk and disadvantaged youth can prosper and grow by learning life lessons and skills through the teaching of action sports. The teens work with mentors and supportive communities where they gain personal development, academic achievement, positive relationships and healthy lifestyles. “I am a Stoked kid,” Calderin said. “I grew up in cities, facing many of the same challenges these kids face today. When my mother moved us to Burlington, Vermont, I met guys that were involved in snowboarding and they exposed me to a whole new world. At a young age, I was guided by people who saw potential in me and that set my life in motion and in a direction that was totally opposite of where I was headed. I believe in this program and what it can do to help peoples' lives and that’s why I am committed to running 26.2 miles in the greatest city on earth to raise awareness and money for the Stoked program." All of the money that Team Stoked raises will directly support Stoked Mentoring's skateboarding, surfing and snowboarding programs. Calderin hopes to raise more than the minimum $2,500 through a limited edition line of OKAY!! OKAY!! marathon and running-themed hoodies, posters, and pins for sale on his fundraising website, which can be found at bit.ly/okokteamstoked. A portion of these profits will also be dedicated to covering the costs of travel to send Calderin's family down to support him. "We saw this as an opportunity to create some really cool imagery around running and our fictitious athletic program by producing limited edition pieces that folks can receive in return for their donation," Caldern said. "The profit after production costs is how we intend to raise our goals. You get some very special goods and we raise money for the group." Other Team Stoked runners include Sal Masekela and Steve Larosiliere, Stoked founders; Tricia Byrnes, Olympic Snowboarder; Keir Dillon, X Games Host, Dew Tour Host, and Professional Snowboarder; and Michael Orenstein, Brand Manager at marketing agency 72andSunny. The 26.2-mile ING New York City Marathon is considered one of the world's greatest road races since its start in 1970. The race draws more than 100,000 participants annually, crossing five bridges and finishing at Tavern on the Green in Central Park. The race is cheered on by two million spectators and watched by 315 million television viewers worldwide. 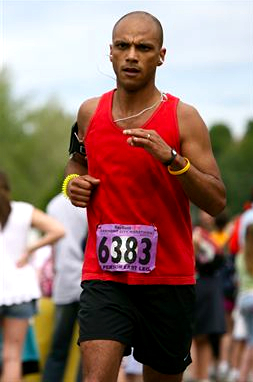 Tune in on November 7, 2010 to watch Calderin and Team Stoked in the ING New York City Marathon. To track Calderin's progress in the race, enter bib #611805 at http://www.nycmarathon.org/athlete_alert.htm. For more information on the ING New York City Marathon, visit http://nycmarathon.org. For more details on Stoked Mentoring and Team Stoked, see http://www.stoked.org and http://www.teamstoked.org. To donate to Calderin's efforts on behalf of Team Stoked, head to http://bit.ly/okokteamstoked.